The research at the time tended to reflect this general consensus. 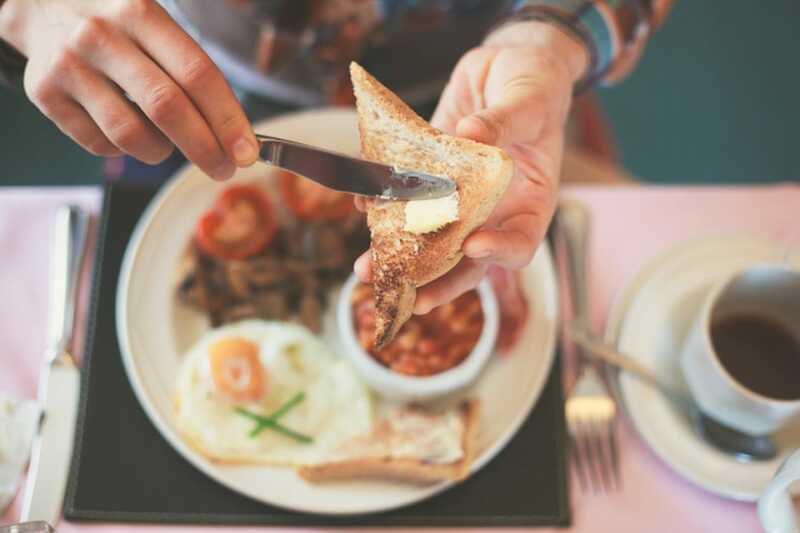 Few studies were designed to discredit breakfast, but instead to demonstrate its indispensability — the degree of its significance and the specific ways it offers benefit. Recently, scientists decided to circle back and explore the largely overlooked “to breakfast, or not to breakfast” case. Surprisingly, some of their findings contradict long-held beliefs, stirring up heated disputes amongst investigators and confusion amongst the public. And here’s why: It seems that the need for breakfast isn’t universal after all. Its necessity varies from person to person based largely on their lifestyle and their goals. Timing matters so most health professionals agree that the safest and best time to eat is when you’re feeling genuine hunger. One person might feel ravenous upon waking, while another might not feel a pang or growl until midday. The difference might be in-born, but more often than not, it’s related to your eating habits the evening prior. If dinner meals are especially large or late, your body might feel a residual sense of fullness when you start the following day. This is common and even unavoidable for people with evening commitments or workdays extending past the standard nine-to-five. Or, if you eat dinner early, but nibble thereafter, there might not be enough food-free hours between your bedtime bites and the sound of your alarm. Most health professionals agree that the safest and best time to eat — period — is when you’re feeling genuine hunger. It’s the time when the body is most receptive metabolically. Eating when satisfied presses a saturated system, which over time can lead to excessive blood sugar levels, calories and kilos. When evenings are less adjustable, mornings may need to change. In which case, responding to real-time physiological cues and delaying, reducing or skipping breakfast entirely might be the best option. Bodies behave much like cars. The same energy-in-energy-out rules apply. When we move more, we require more fuel. Athletes or regular gym-goers naturally have higher total energy needs than their more sedentary peers. But quantity and quality count. Extra calories aren’t enough. Added activity requires added proteins and micronutrients to support tissue repair and muscle growth. Sports cars receive premium petrol, right? We are all responsible for meeting our nutritional needs with our daily meal opportunities. Yet exercisers are held to a higher level of accountability. If lunch and dinner don’t compensate, skipping breakfast can compromise fitness performance, in the short and long term. Nagging hunger or insufficient muscle energy reserves can weaken workouts. Likewise, if everyday food choices — with fewer meals — aren’t supplying sufficient nutrients, deficiencies can arise, leading to reduced endurance or strength and increased risk of injury. Studies have shown that breakfast benefits children but it may not be helpful for some adults. Morning eating habits do affect the brain, but age seems to play a role in how. Studies show that younger children who eat breakfast perform better academically than those who don’t. Focus and receptivity to new information improves. However, for some adults, skipping breakfast may be helpful. How so? 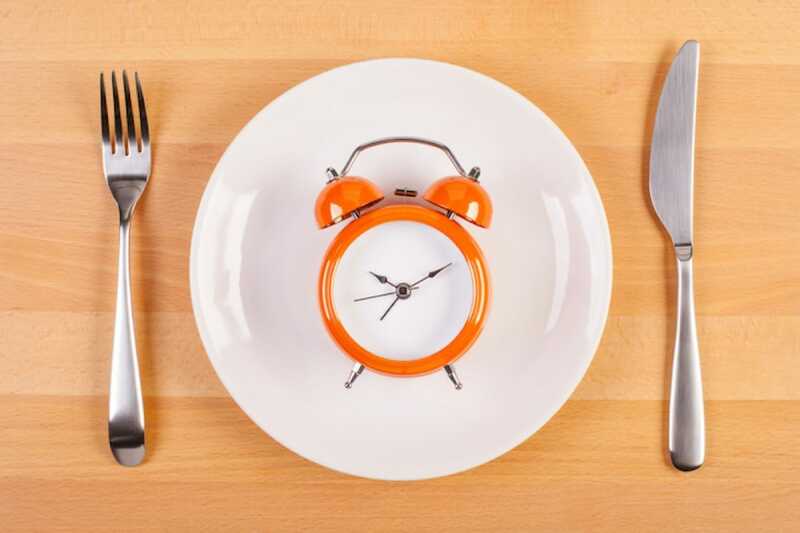 Forgoing food for longer than 12 hours (that is, eating dinner, but not touching a morsel until late-morning or lunch) seems to challenge the brain biochemically. When glucose (our usual brain food) isn’t readily available, as with a longer overnight fast, the brain then relies on alternative energy sources. These occasional adaptations have been shown to reduce inflammation in brain tissues and boost memory. However, it’s important to note that the brain responds similarly to regular exercise. So, if you love breakfast, you can up your fitness regime instead, for the same benefits. It should come as no surprise that breakfast adds another log to the weight-debate fire. The body of research for or against a morning meal is both intriguing and conflicting. Some studies assert that breakfast boosts metabolism in the beginning of the day. Abstaining communicates a sense of “food insecurity” to the system. When the body questions the availability of food, it’s inclined to conserve anything eaten, rather than burn it for fuel, which can lead to stored fat on the body. Other research shows that breakfast-eaters actually eat less total calories over the course of a 24-hour day. Some hypothesise that allowing the body to become too hungry leads to reactionary overeating and snacking in the afternoon and evening hours. Conversely, some studies suggest that skipping breakfast may even support weight loss. This research also centres on the aforementioned concept of extending the overnight fast. Maintaining between 12 to 16 food-free nighttime hours seems to catch our metabolism off guard. Under these circumstances, skipping breakfast may help bump-up calorie burning and trim midsections. Interestingly, though, the best results in these studies are achieved when participants reduce evening eating — keeping breakfast and either moving dinner earlier or skipping dinner altogether. While calorie-tracking gauges energy adequacy, the source of those calories has a huge impact on our wellbeing. In other words, what we eat plays as much a role in optimal physiological body functioning as how much or when. As such, health-conscious consumers often aim to make wise choices amidst countless heavily processed, nutrient-poor products on the market. For such individuals, morning meals may offer some support. Studies suggest that breakfast eaters consume more fresh fruits and vegetables and higher amounts of certain essential vitamins and minerals. The research doesn’t always elaborate on why this might be. However, it’s commonly observed that dietary decisions become more expedient or indulgent in the afternoon and evening — when the day, and all it’s madness, is in full swing. It is crucial to start the day with water as nearly every digestive and metabolic reaction requires water. The above are just a handful of the many variables to take into account when deciding what to do about AM nutrition. No two people have the same bodies, lifestyles or wellness aims. So, breakfast needs might be different too. Start the day with water. Nearly every digestive and metabolic reaction requires H20. Making sure you begin the day hydrated primes the body to respond more efficiently to your meals — no matter what time you decide to start eating. Break the fast wisely. The “what” matters just as much as the “when”. Build first meals that offer a balance of fiber, protein and fat. Refined carbohydrates — like sweeteners, as well as white-flour breads and cereals — dial up blood sugar levels and lead to glycemic fluctuations, cravings and increased hunger that continue for the rest of the day. Instead opt for 100% whole grain products, fresh fruit, vegetables and even legumes, nuts and seeds that offer ample fibre. Also include sources of high-quality protein and healthy fats. Adding these will round out the nutrient profile for a more complete meal. These will also help stabilise your system — controlling blood sugars, prolonging the sense of post-meal satiety, curbing cravings and regulating appetite. Eve Persak (MS RDN CNSC CSSD) is the Nutrition Advisor for the COMO Shambhala. A highly qualified nutritionist, she develops corporate wellness programming, retreat experiences, therapeutic beverage lines, food products, and cuisine globally. Her credentials reflect advanced education from pedigree academic institutions, recognition from world-leading professional organisations and over a decade of clinical experience. 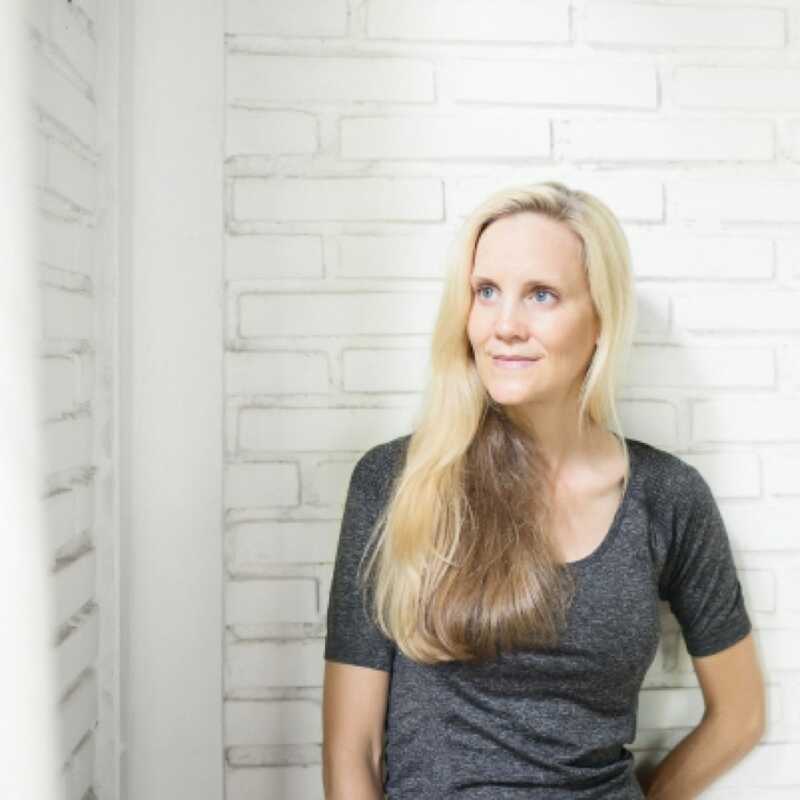 In her private practice, she specialises in weight loss, food allergies, digestive dysfunction, stress, immunity, women’s health, sports dietetics and counseling families, couples, and individuals of all ages. Jonathan Kinsella, executive chef of db Bistro & Oyster Bar, tells us how stand-up comedy plays a part in his cuisine.